Sometimes events are picked up by the media that serve as a black eye to our industry. Reading these articles motivates us to learn from the mistakes and missteps of others, and drives us to continue to change our industry through continued innovation and integrity. Unfortunately, some estate sale companies have been called out for late payouts or even non-payment to their clients. Sometimes, items are missing, as there is no standardized inventory system being utilized, making it difficult to accurately track the items sold in the sale. 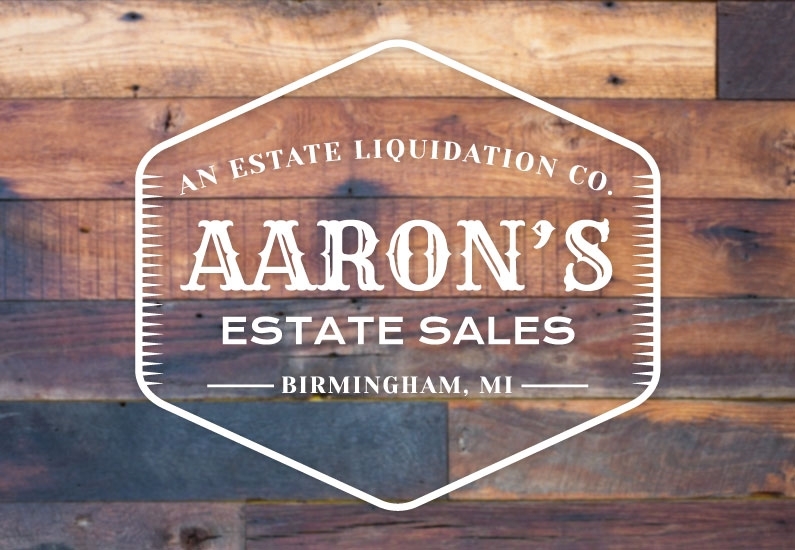 We at Aaron's Estate Sales are diligently working to change that standard, industry-wide. We believe there are two sides to every story, and are hopeful that the issues arising from possible miscommunications are taken care of in a fair and respectful manner that leaves both parties satisfied. Selling an estate is never easy. Every situation that prompts a person or family to hold an estate sale is unique, and quite often a family is still grieving after the loss of a loved one when we are called in. There are numerous steps that we take when we come into a home. We begin with cleaning, organizing, rubbish removal and staging the contents of your home. We then evaluate antiques and items for appraisals, price the entire contents in the household, take care of advertising and marketing, staff the sale and then provide a complete clean-out of the property. We have trained our staff to handle every part of the process with ease and integrity, while providing our clients with premium customer service. Aaron’s Estate Sales has worked with a developer to solve the lack of transparency between clients and estate sale companies. We provided input to create an app that provides a photographic inventory for estate sale companies. Its capabilities include an innovative barcode pricing and inventory tracking system for every home that we work in. The result is an itemized log of the price of each item as it was listed, compared to what the item actually sold for. We are able to offer clients a presale inventory that allows the us to predict what the sale will gross in the end. The system also provides a detailed inventory of what did not sell; this information is useful for donation and tax deduction purposes. This is a huge advancement for the estate sale industry. In the future all companies and clients will be able to use this software to track their own estate sale inventory without losing efficiency. This revolutionary barcoded estate sale tracking facilitates full transparency between clients and companies. It also serves to protect both client and estate sale owner. Aaron’s Estate Sales is an award winning, founding member of the National Estate Sale Association. Based in Birmingham, Michigan, we have been in business for over 6 years, providing exemplary service to families looking to downsize, settle an estate, or to liquidate the contents of a home. We specialize in luxury estate sales and conduct an average of 50 estate sales a year throughout the Metro-Detroit area.